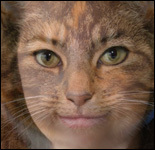 The use of morphing techniques to transform images. Click the images for larger versions and more information. "The Face of the Future?" 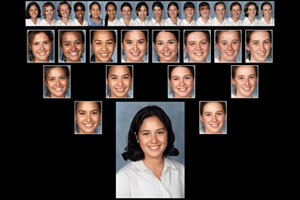 Composite portrait. Composite portrait of the Roman empress Livia. 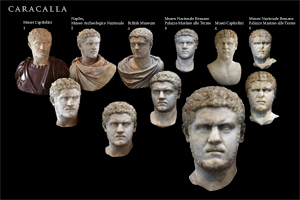 Composite portrait of the emperor Caracalla. Composite portrait of the emperor Vespasian. Digital composite portraits made using morphing software to produce an ‘averaged’ image from multiple source photographs. Click on the images for larger versions. The process increases the ‘signal-to-noise’ ratio by smoothing out the idiosyncracies and particularities of each source image. This inevitably tends to ‘beautify’ and, with art works such as paintings and sculptures, will increase any idealizing tendency already present. 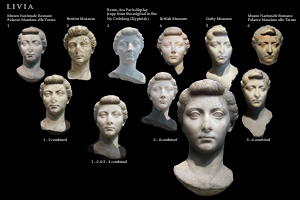 In the case of the Roman portrait busts seen here, whether the average tends toward a truer likeness, while plausible, is of course moot in these instances. 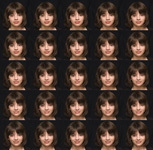 The images show the source portraits at top, successive ‘generations’ below (the products of morphing each image-pair above them), and the final enlarged composite at bottom. 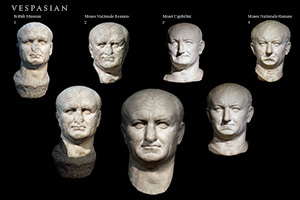 Below is an animated example of the morphing process, using two portrait busts of the Roman emperor Vespasian.